Because this region boasts a treasure-trove of talented artists, I thought I’d give a quick rundown of some acts making headlines. There are plenty more where this comes from, so check back for more posts on this topic. Already highlighted in a past music rundown on our site, the Lititz-based band The Districts makes our list for rising local music stars. Currently, The District’s are making headlines as WXPN’s Artist to Watch for January (which in itself is a big deal), received tons of attention when their video for “Funeral Beds” went viral, and recently signed to Fat Possum records (a bigger deal). Being on a label that features Andrew Bird, Band of Horses, Dinosaur Jr., and The Walkmen doesn’t seem to faze these barely 20-year-old rockers. The group just released a 5-song EP, with a full-length release slated for Fall of this year. Cabinet calls the Scranton/Wilkes-Barre area home and has made quite a name for themselves in the roots/bluegrass scene. Having formed in 2006, they’ve been on a steady rise thanks to their tuned-in Americana sound. They’ve turned heads (and sold lots of tickets) all over the country, and have curated a dedicated audience throughout the mid-state. Though they’re taking January off to “hibernate” (I would like to do that as well), the group is back at it on February 21 at the Lancaster Roots & Blues Festival. 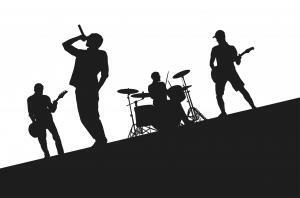 Have a local/regional band that you want to see highlighted on our blog? Connect with me @mikerathfon or comment and we’ll see what we can do.